Business & Commercial Law - Dworkin, Chambers, Williams, York, Benson & Evans, P.C. Simply opening for business each day invokes myriad legal issues. 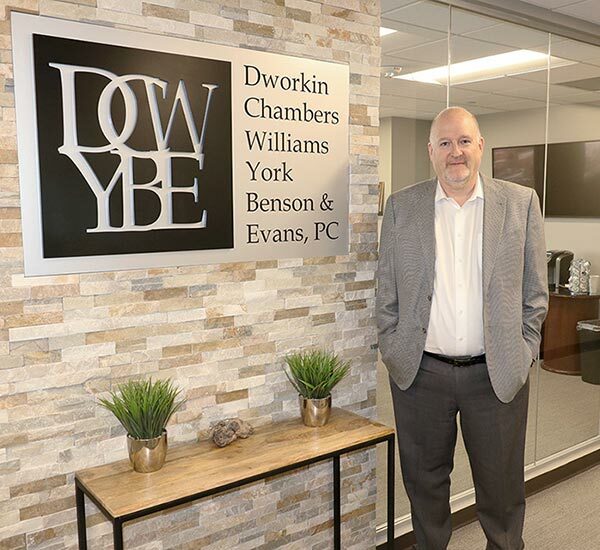 The law firm of Dworkin, Chambers, Williams, York, Benson & Evans, P.C., enables clients to insulate against legal trouble or respond aggressively when conflicts and threats arise. Our defense lawyers and advisors have provided high-quality legal support to Colorado's business community since 1991. We are a litigation firm serving businesses in the Metro Denver area, statewide Colorado and the Rocky Mountain region. From 20-plus years of defending clients in complex and high-stakes litigation, we also deliver cost-effective consulting services to prevent disputes or nip them in the bud. Our clients cover the spectrum from small "mom and pop" businesses, technology startups and medical practices up to mid-sized companies and large corporations such as American Furniture and Lockheed-Martin. We are available to litigate specific matters and also serve as outside general counsel. In everything we do, cost containment is top of mind. Our attorneys strive to resolve disputes out of court as efficiently as possible, but we are always prepared to go to arbitration or trial when it is prudent or necessary. We are also mindful of the impact on business operations and community goodwill in helping clients bring matters to closure. In addition to litigating, we provide advice and representation on the front end of business contracts and relationships. We negotiate and draft substantive agreements between business partners, including buy-sell clauses. We can also help clients put together business contracts, commercial property transactions, executive severance packages and restrictive covenants with key employees. Many longstanding clients have been with Dworkin, Chambers, Williams, York, Benson & Evans, P.C., for 20 years. We invite business owners in Denver and beyond to discover the value we deliver. Arrange a consultation with our business and commercial law attorneys.